Mancunian trio boxboxbox recently dropped us a line with their new free EP, 'Dive' and we were suitably impressed. A mesmerising collection of electronica, complete with a tremendous cover of Andrew WK party classic 'I Get Wet'. Compare and contrast the boxboxbox glitchy update with the Andrew WK original below, along with the rest of the EP. 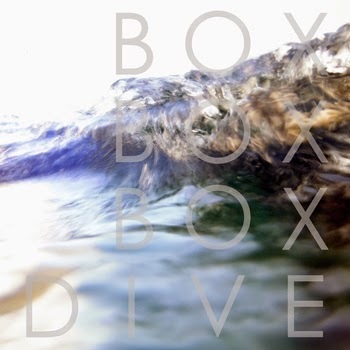 Beginning in a similarly bombastic fashion to the original, boxboxbox's version of 'I Get Wet' slows the pace to ethereal Sigur Ros levels. The acoustic touches and Helen Crowder's ethereal vocals provide a sense of wide-eyed wonder. It's a sentiment loosely covered elsewhere on the EP, such as on bouncy piano-led opener 'Signals' and on swirling closer 'moonisgreaterthansun'. Stream 'Dive' in full below. Download 'I Get Wet' and the rest of the 'Dive' EP through Bandcamp.